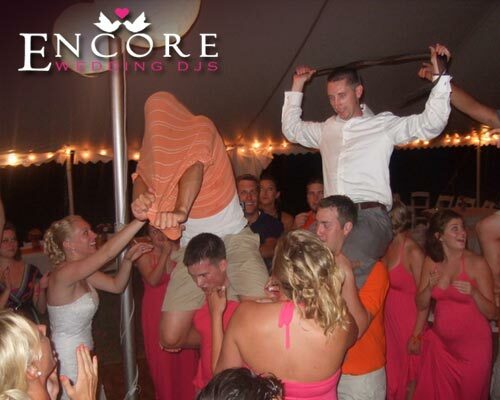 Hey… what can I say, our guests have an amazing time at an Encore wedding reception. This was a fun outdoor tent wedding done on the property of the family. They requested a variety of songs which also included Def Leppard – Pour Some Sugar for the cake cutting. Just look at the photo above… enough said!